Doobert revolutionized the animal rescue industry with our transport software. And we’ve done it again with our fundraising functionality! 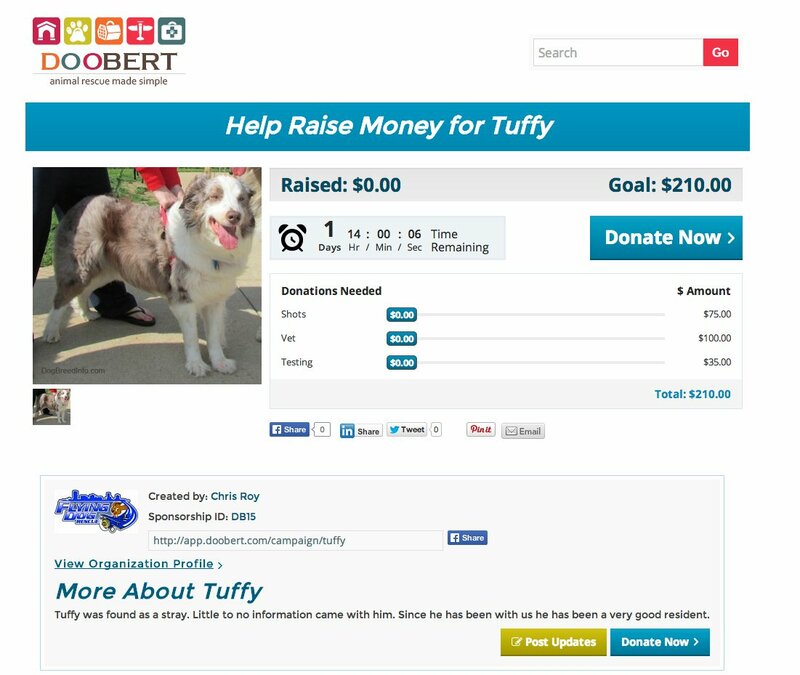 Organizations can create and manage compelling, and completely customizable, fundraising campaigns to collect general donations or animal specific donations and pledges using their PayPal account. And with the click of a button, you can share your campaigns on social media. What will you do with all the extra time you’ll save? Each page is specific to the animal and you can itemize the costs that you’re doing fundraising for that animal. Then, using the unique URL for that animal, you can share with family and friends or post to social networks like Facebook. When people click on the link they’ll come back to the site and they can donate right into your PayPal account.